Africa counts, without doubt, some of the most breathtaking national parks, conservation areas and reserves in the world. These are home to an incredible variety of bird and animal species, including the ‘Big Five.’ Nothing beats the views of lions chasing their prey, personal encounters with mountain gorillas and witnessing wildebeest migrations. We explore the top ten African wildlife parks, which will most certainly become the highlight of your journey! 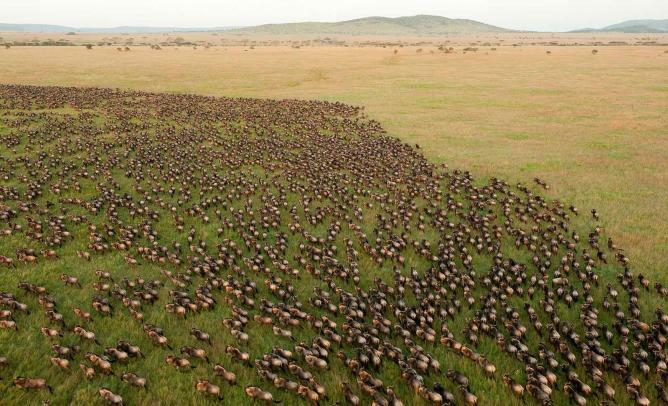 Ever dreamt of seeing a wildebeest migration with your own eyes? 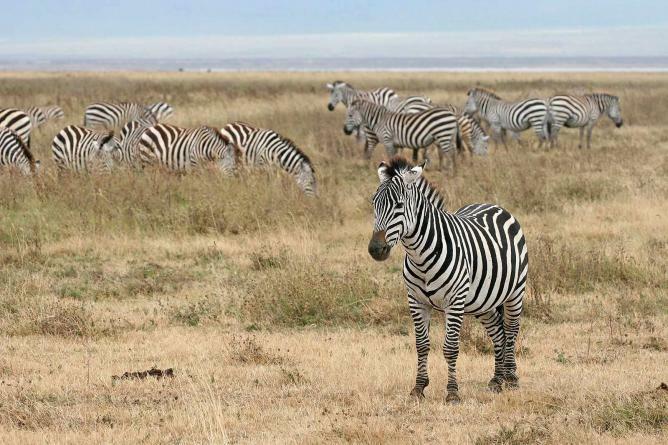 Then the Serengeti National Park in Tanzania is your best bet! This Big Five park is certainly one of the best spots on earth for wildlife watching. Indeed, this stunning 14,763-square-km national park is also very famous for its dangerous predators such as lions, leopards, cheetahs, hyenas and many more. Bird lovers, do not feel left out. With more than 500 bird species, the Serengeti National Park also makes an impressive birdwatching spot. When it comes to wildlife, it is hard to beat the density, diversity and unparalleled number of animals of one of the best national parks in the world, namely, Kruger National Park. Located in South Africa, the park also counts every single iconic African safari animal species including the hippo, giraffe, zebra, buffalo, lion, elephant, cheetah, leopard and rhino. It is also home to another 137 mammals and more than 500 different bird species. In addition, the park is made very accessible to visitors thanks to a wide network of roads, allowing guests to visit the premises on their own. There are also many guided wildlife opportunities and plenty of great value accommodations. By far one of the most exciting and fascinating African national parks, the Volcanoes National Park in Rwanda is mesmerizing. Needless to say, the most attractive animals around are the mountain gorillas, which draw people from all around the world. Dian Fossey’s research and stories certainly brought international attention on them. 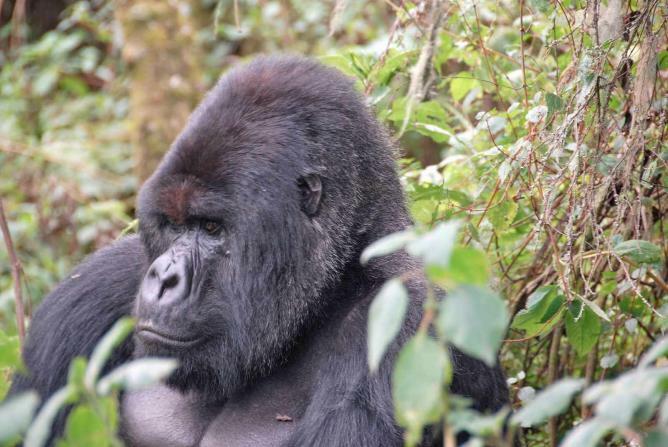 Having a face-to-face encounter with these fascinating apes might be the primary goal for exploring the park; however, there are other valuable reasons to stay in the park once you are done with the gorilla tracking. It includes golden monkey tracking. This world heritage-listed national park in Uganda is one of the region’s most famous safari tourism parks thanks to its community of mountain gorillas calling the park home. Indeed, set over a steep mountain rainforest, the park counts 360 gorillas to this day. Without a doubt, the ‘impenetrable forest,’ as it’s often referred to, is Uganda’s most impressive tourist destination and one of the continent’s oldest habitats. Also, there is quite an impressive diversity in terms of flora and fauna in comparison to other rainforests. The park is home to around 120 mammals and almost 360 bird species. Lucky travelers might even be able to spot some forest elephants! The Ngorongoro Crater in Tanzania is nothing short of breathtaking. Even the views from above are mesmerizing. However, what really makes this place special is when visitors get down inside driving amongst an incredible concentration of wildlife. This includes not only the world’s highest density of lions in Africa but also of overall predators. No doubt, this natural wonder is considered to be one of Africa’s jewels and has been recognized as a UNESCO World Heritage Site. So be prepared when the descent begins to enter a real wildlife paradise! Only a two-hour drive from Kenya’s capital city, Nairobi, Lake Nakuru is one of the country’s most impressive national parks. The park is most famous for its flamingos but also for its white and black rhinos, baboons and hippos. If visitors are lucky, they might also come across one of the very rare tree-climbing lions. Here, unlike in other parks, you should attempt to look up instead of down to spot the lions and even leopards! Of course, giraffes, zebras and buffalos are also of the party. 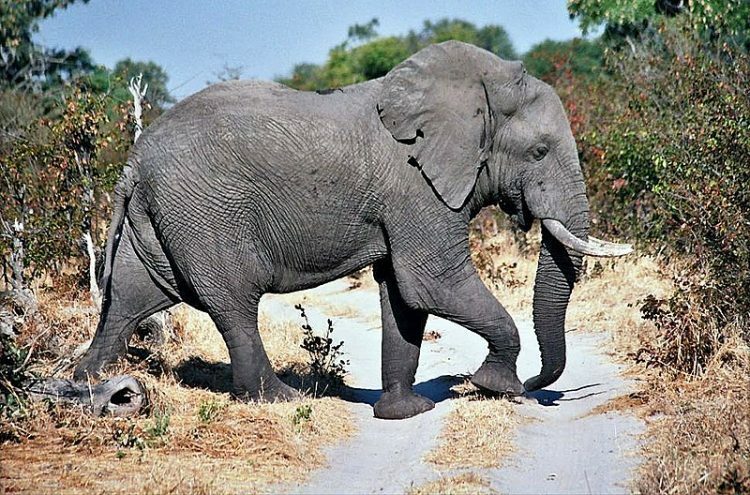 Out of all African parks, Hwange National Park ranks amongst the ten largest in the continent and is also the biggest in Zimbabwe. Around 400 bird species and 107 animal species live in the park, including giraffes, leopards, lions, hyenas and more. The biggest draw of the park, however, is the elephant. With around 40,000 tuskers, this park is home to one of the most important elephant populations. The best time to visit is from July to October when animals gather around the 60 water holes. 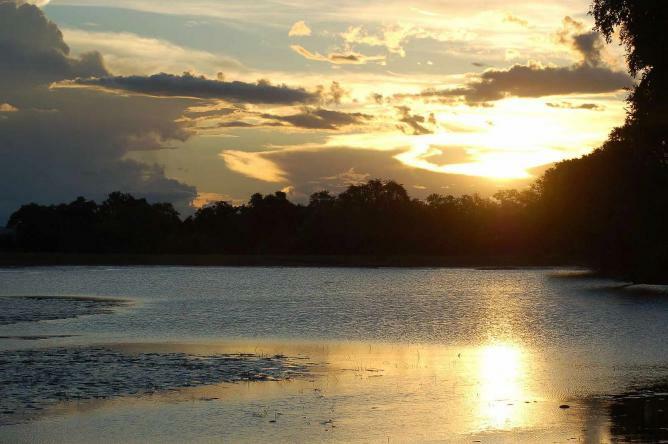 Located in Gabon, Loango National Park is ‘Africa’s last Eden’ according to conservationist Mike Fay. Water streams, thick forest and savannah, lagoons and white sand beaches form habitats for all kinds of species. Better known for its mythic surfing hippo, the park is also home to the most important concentration but also variety of dolphins and whales, elephants strolling around the beach and some rare mammals in the savannah. This park is without doubt a must visit for safari lovers on wildlife watching tours. The South Luangwa National Park in Zambia is one of the best choices in Africa for a combination of scenery, animal species, accessibility and accommodation options. It comprises of varied landscapes, including vast terrains of dense woodland, open grassy plains and oxbow pools, which are home to animals that come in all sizes and shapes — from the small tsetse flies to the majestic elephants. The park also gives the opportunity to visitors to go on walking safaris from June to September. Experiencing wildlife on foot is certainly a must-try experience! Covering one third of Okavango Delta in Botswana, the Moremi Game Reserve, also known as the Moremi Wildlife Reserve, is home to an extremely dense African wildlife concentration. To the delight of safari lovers, the park is also very accessible and has well-maintained trails plus a range of accommodation options for all budgets. The park has an incredibly distinct dual personality as it includes wide spaces of dry land between incredibly vast wetlands. As the rhinos have recently been reintroduced, the park counts the Big Five once again. It is also home to the largest red lechwe population in Africa.